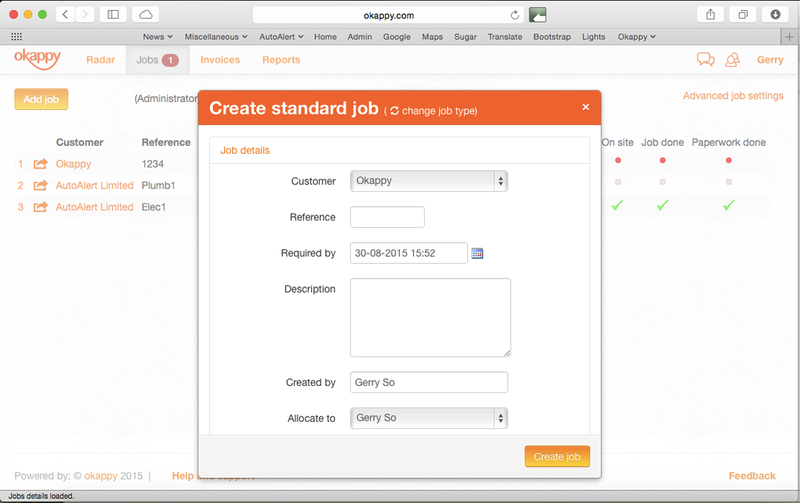 With Okappy you can easily create a job template to determine what information is required for each job and what information is shared with your engineers and sub-contractors. If you need more detailed information, for instance, if you're an electrician and need to know information such as the number of rooms affected, any health and safety issues and contact details at the site, then you can switch to one of our other job templates. You can change to a different job template when adding a job under Job Type.